Paper making felt is a very important spare part of paper machine, it play an important role in sheet transfer, paper water filtration, etc., different paper machine part use corresponding felts to to make the paper to meet the production requirements. So what do you know about the felt? How to deal with some problems arising from felt during production? According to the use part of the paper machine can be divided into the wet felt, top felt, the drying cylinder felt (drying felt) of the three kinds. The wet felt is used for press part, which is thin and easy to filter water. It weighs about 450~700g/㎡. The top felt is used in the Yangke dryer cylinder, the twill weave method, the surface is very smooth, the felt surface hair should be burned by the blowtorch to make the wet paper page adhere to it. Usually the texture is thick, about 1000~1500g/㎡. Dry felt, used in the dryer section. The texture is the thickest, with a weight of more than 2000g/㎡, good strength, press the paper on the surface of the dryer cylinder to warm evenly, with ironing and smoothing. It’s also made of cotton canvas felt. 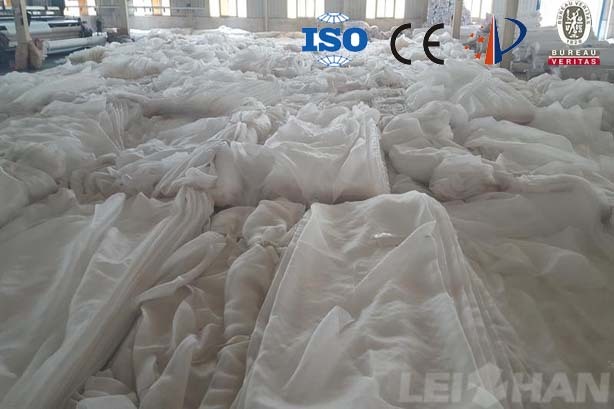 1. felt shrinkage: it is mainly caused by the unstable structure of the base cloth in the production of felt. Loosen the felt roller to allow the felt to run in the slack state. Incorrect standard line is not good for the normal operation of felt. 2. New felt dipped in pulp: the new felt dipped in pulp generally due to felt surface rough, or felt irregularity, can brush it with copper maybe better. The felt has been used for a period of time that dipped in pulp is because of fiber too long, and you can burn it with a blowtorch. 3. The felt service life too short: this depends on how the felt has been used in the machine. It is not good to use the later dehydration, or the paper is bad or the felt was broken down, this can be seen from the machine felt. If the vacuum plate is uneven, the material is rough and the opening is too large, which will increase the friction rate of the felt and cause the felt to be too short. Papermaking felts are divided into two types: woven felt and knitting felt, Leizhan supply different papermaking felt to suitable for all parts of the paper machine, and the high quality of felt can reduce many problems that may arise in production process. If you have any need or technical questions, welcome to contact us, we are always here waiting for you.